When we talk about competent and growing businesses with respect to paper related jobs, the first thing which comes to our mind is that how are they performing with such efficiency? And the answer is through ‘Paper Machines’. As they help to complete all your tasks within minutes whether they are at a small or large scale. Mainly there are 22 types of paper machines available on this website where each one of them have unique features. They help you bind, punch, fold, sign, laminate, cut and organize etc. in the most cost efficient way. And the brands which contribute in the manufacturing of these high quality products are Akiles, GBC, MBM, Fellowes, Martin Yale, Formax, Paitec, Xyron, Swing Line, Dahle and Lasco Wizer. We hire employees and buy machines which are not only costly to maintain but are also difficult to operate, while the trend has now shifted towards simpler technology which can provide greater output. And this is what https://www.paper-machines.com/ is offering its customers, affordable and easy to operate equipment which does not require you to be tech savvy at all. The reason why you need such machines is simple, that any employee can handle and use it without complications, plus the best part is you don’t need to hire a separate person for performing these jobs. Once you have used these machines you will thank paper-machines later after knowing what they are capable of. We don’t have time to individually sign documents and cheques these days due to the increased workloads. So keeping this fact in mind, paper machines is providing check signing machines which come with a reliable security system so full-proof tasks can be performed. These machines give your papers the look of a folder or booklets by compiling large piles of sheets in no time. They all are automatic as well as manageable. Also they have the capability to operate at high speeds to cater large demands. So when you are done printing large volume sheets you can in no time convert them into a professional looking booklet. It can greatly benefit educational institutions and other workplaces which require related services. Once the user is completed with the printing tasks and now wants to trim, separate and stack the required documents then a paper burster will accommodate the need in the best way possible. They can operate in great speed with optimum efficiency without any delay. So, different types of bursters with variable features is made available under this category. Every type of business requires cards and instead of paying individually every time for these services, now you can own a business card slitter machine which helps you cut your printed business in a neat and speediest way. This type of machine will work great in print shops, large organizations, educational institutions, copy shops and other corporate environments. This is the best solution for stacking papers and to keep your office space organized. Collators and document handling stack wagons helps you arrange, carry and manage various stacks of papers which include reports, sheets of a magazine and sets of different copies. Both are extremely easy to use and the collators can be operated through the touch buttons. When you have big piles of papers which needs to be punched fast, then drilling and hole punching machines are ideal for this purpose as they can easily drill holes in big and small stacks of papers. Similarly once you are done drilling the next step would be to shape the corners of the pile which was fresh punched earlier just so it looks professional and presentable enough to impress the other party. This is where corner cutters come handy, as they can efficiently cut the corners of the paper documents quite neatly. Both of these machines can be used in every other environment which is dealing with drilling and corner cutting operations quite often. 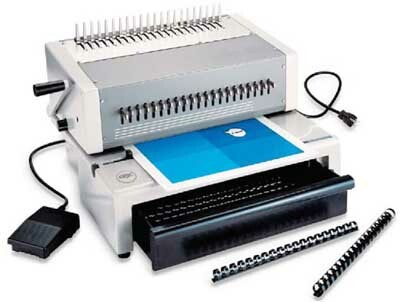 There are so many important documents of different sizes in offices, homes, schools, universities, even small cards and identities which needs to be protected from scratches or any other damage, so for this reason laminating machines are being offered. They can be found in two forms; pouch laminators and roll laminators. Both have distinct features which are explained in detail under the ‘Laminators’ category. These machines are not only innovative enough to enhance the overall efficiency but are priced economically to cater user’s needs in the best way possible. Usually when we get an important envelope, it’s hard to decide from where exactly should we open so the inside document does not get torn off. Because if it does then we might get in trouble later. Therefore, to avoid such situations, paper machines is selling letter openers by Martin Yale and Formax which can not only handle small tasks but are capable of accommodating users by letting them cater major envelope opening jobs. 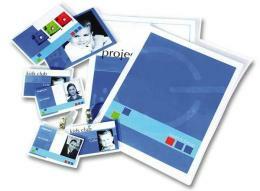 Notepads, scratch pads, or carbonless forms are largely being used by everyone on daily basis. But wouldn’t it be more exciting if they are customized? Well! Padding press machines lets you create such scratch pads. Paper machines has a wide variety of such machines which provide different layouts, sizes and styles. The best part is that you can purchase them in the set budget. When it’s the month end or any other event where documents needs to be dispatched in envelops then inserters should your go to option. They are available in different sizes and versions on this website, depending upon the work load. Similar if those envelops need to be labeled and tabbed automatically within minutes to give them that extra professional look. Here are several machines under the labelers and tabbers category which are not only economical but are competent enough to cater larger volume tasks by simply pressing button. We tend to trim papers manually with different utensils like blades, scissors etc. and accidentally hurt ourselves. These methods are not safe to use by children and adults for the longer run. Therefore, paper trimmers and paper cutters are the types of paper handling machines which ensure safe cutting and trimming for every size paper stacks. These machines offer manual and automatic paper handling to cater unique tasks. We waste so much of our time and money on punching and binding of our documents. What if we have a machine which could perform these functions in the least time and cost? Here on paper-machines.com there are 28 different types of punching and binding machines which support coil, wire and plastic binding. So it is easy to purchase a paper handling machine from here according to the requirements. For the longer run this will not only save money but will save you from stressing over this issue. Normally when I am folding papers, it’s so difficult to get the perfect folding line and until I have done it two or three times, a neat fold is never easy to get. This is the reason why paper creasers are invented. They help to give that perfect fold with a professional look which is presentable enough to impress others. So if you want to know more about these highly efficient machines then check under the ‘Paper Creaser’ category. Schools, universities, offices require flexible folding patterns for different jobs and with the fast paced working environment, one cannot first learn these patterns and then implement it. So having a paper folding machine would be an ideal option. It saves times, gives atleast 5 types of paper folding patterns and most important of all, can be obtained within the set price range. You can have a look at them on this website, because they is wide range of these machines being offered here by the best brands in town. If there are papers which needs to be dispersed in the office and are not be enveloped then paper-machines.com have a solution for this as well. ‘Pressure Sealers’ lets you fold and self-seal mails and other documents in different folding types. They basically help you save time and resources by skipping the enveloping process. Instead of manually folding the cardstocks with difficulty, the scoring-perforating machine provides its services by professionally creasing and processing. These are quite innovative machines which are manufactured by Martin Yale with the highest quality material, so that it’s users are kept satisfied every time they use it. They work great for schools, offices and other working environments as it can cater large and small-volume tasks easily. When thinking of compiling large volumes sheets with a trustworthy method, you should look up for stitch folding machines by MBM. For example today is the deadline to submit your 60 pages report on which you have been working on since the last 15 days. And at the last moment you are unable to join the report then that is where the stitch fold saves you. 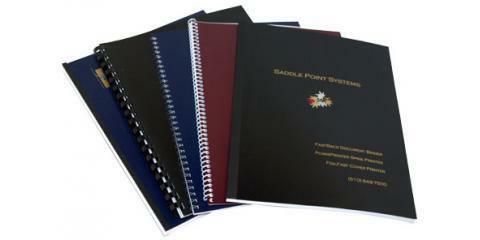 Printing and binding shops can facilitate their customers with greatest level of efficiency by acquiring one of these. Previously when companies did not know about these machines they chose to work manually and spend on both, human capital as well as on machinery but now as they have become aware, they are wisely spending on paper machines to save money and become competent enough so that these paper related tasks don’t lag them behind in the market. In a nutshell, it’s quite amazing how paper handling has been made this easy for us because with such a fast pace set regarding processes, offices cannot afford to waste time through manual operations.